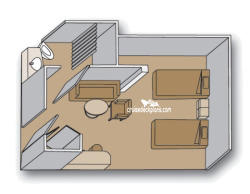 - Safe, multi-channel music, phone. 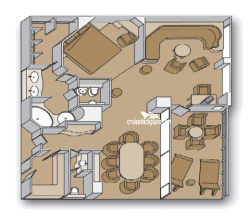 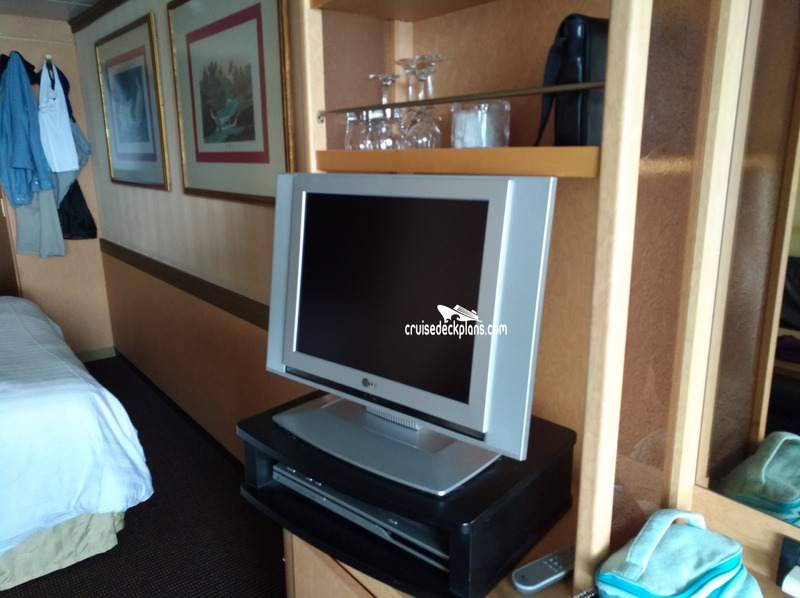 - Multi-channel music, mini-bar, safe, phone. 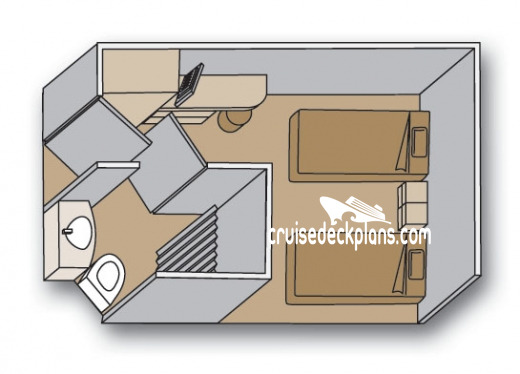 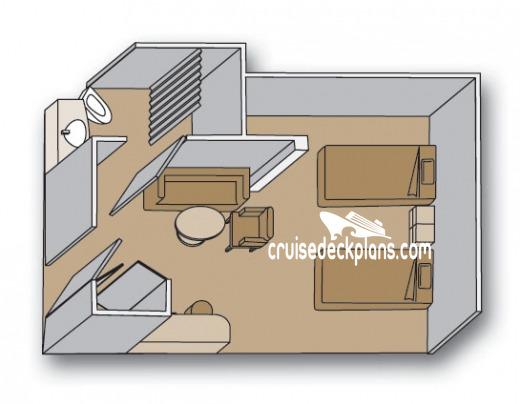 - Sliding glass doors that leads onto the walk-around Lower Promenade Deck. 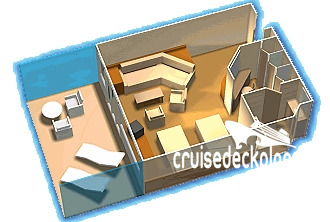 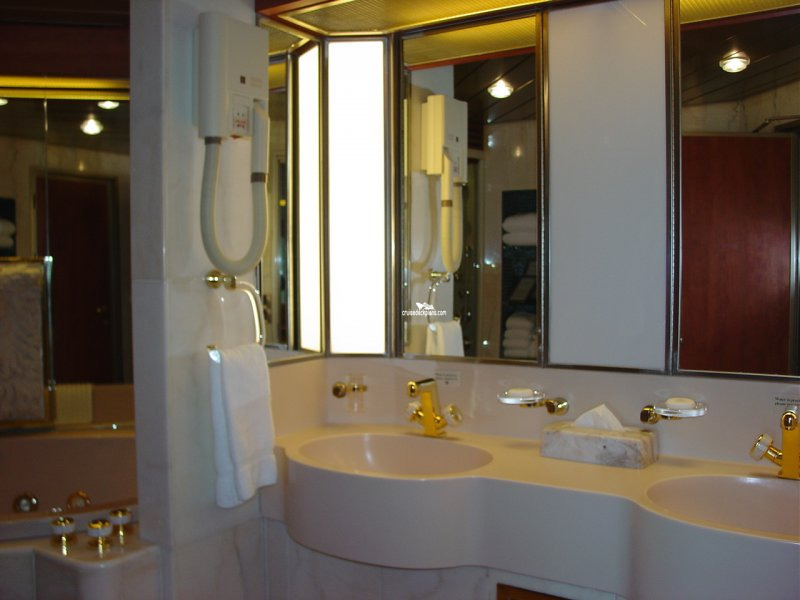 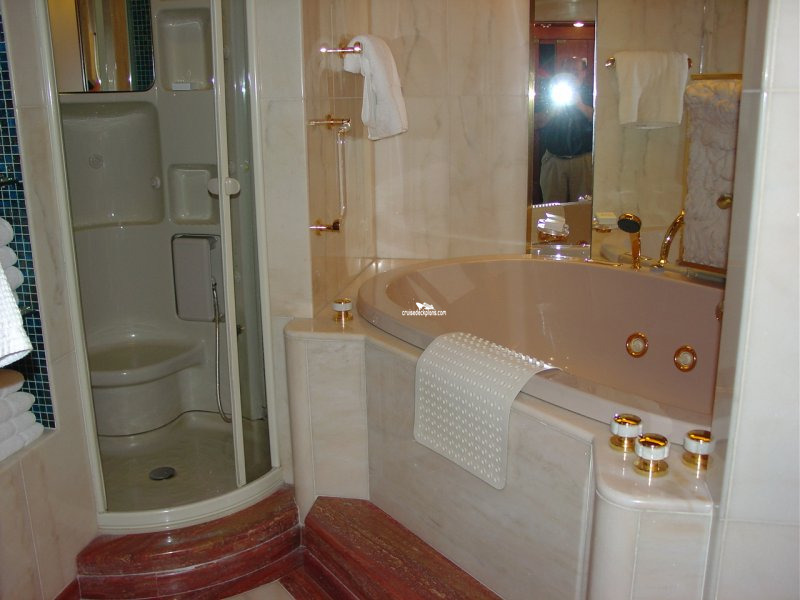 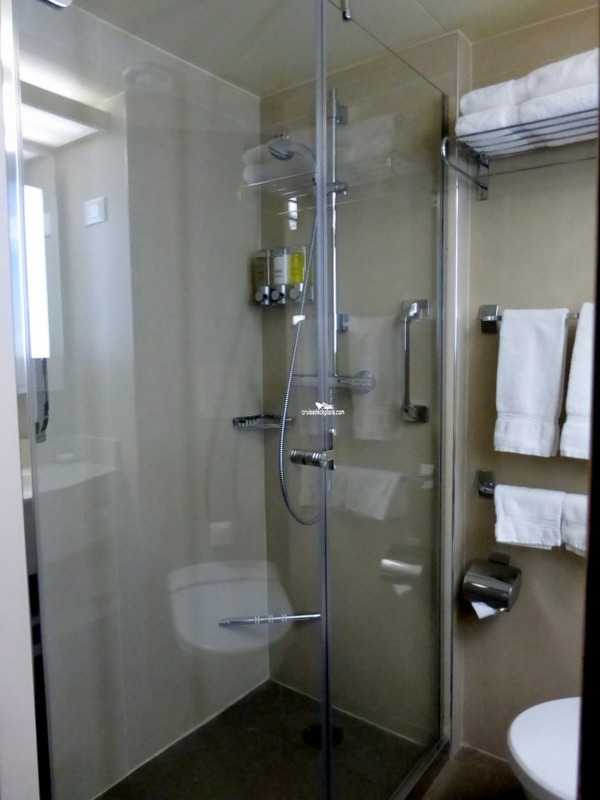 - During 2015 drydock, category C cabins were given a glass door shower instead of bath tub. 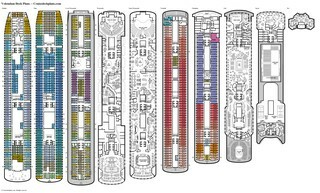 Category has two portholes. 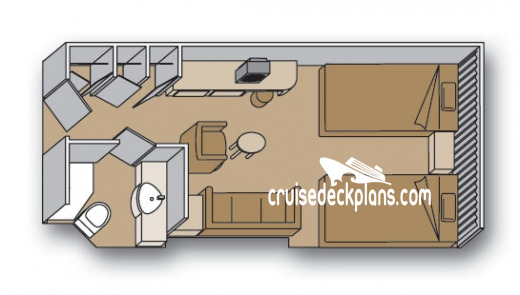 Category HH is fully obstructed. Category H is partially obstructed. 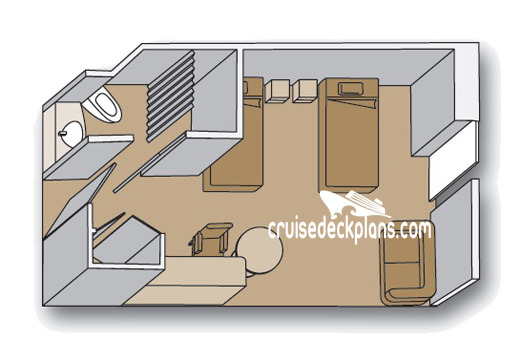 Cabins on deck 3 have windows looking out onto promenade deck and people walking by can view into the cabin when lights are on in cabin. 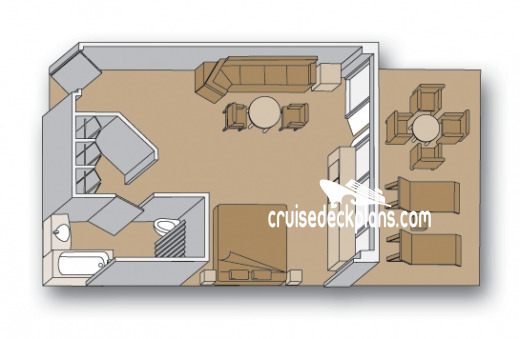 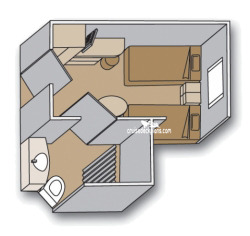 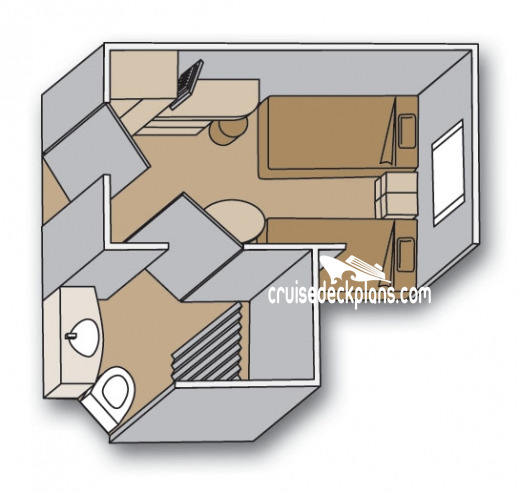 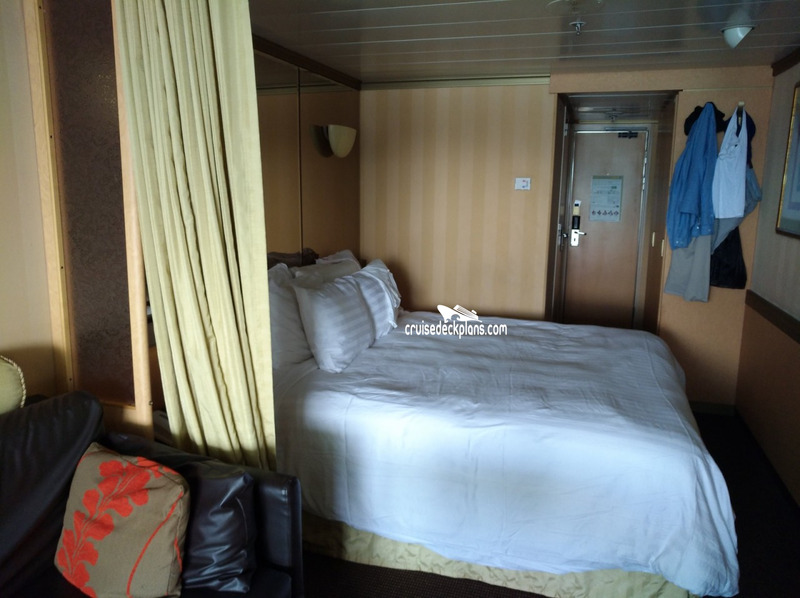 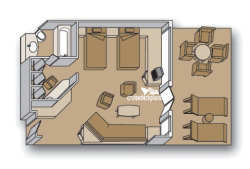 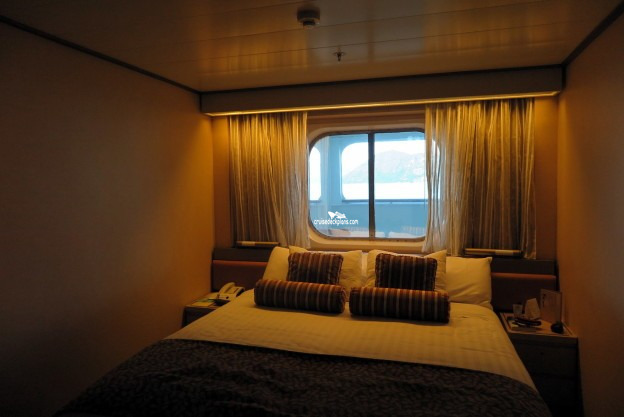 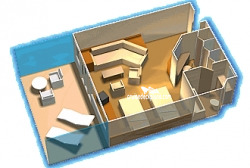 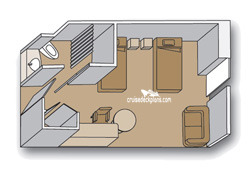 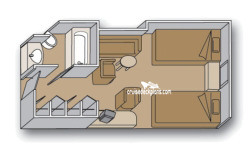 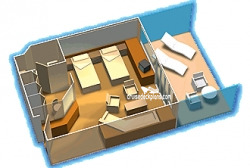 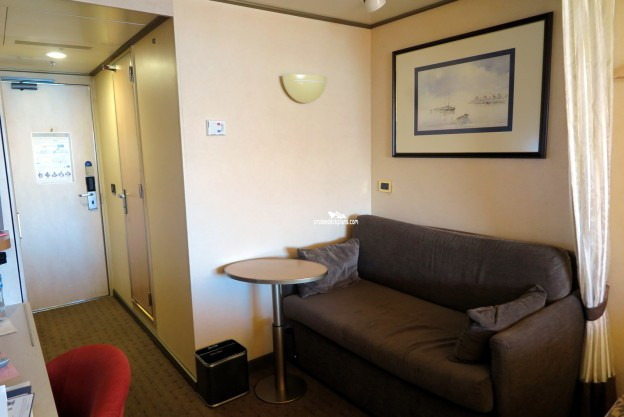 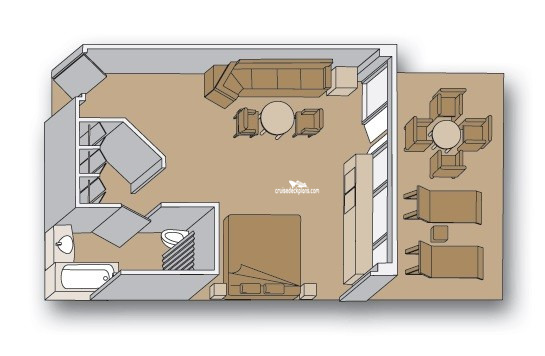 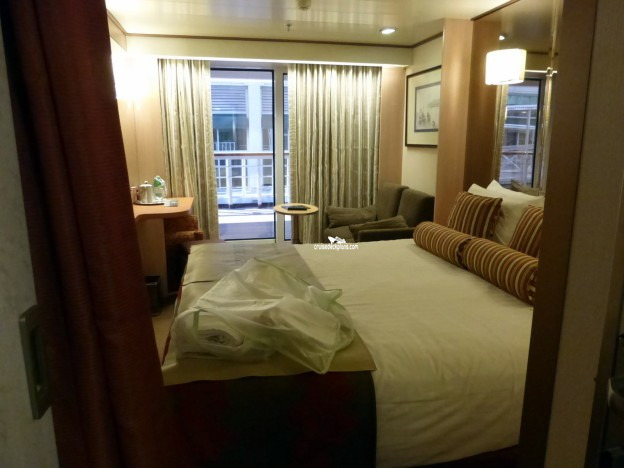 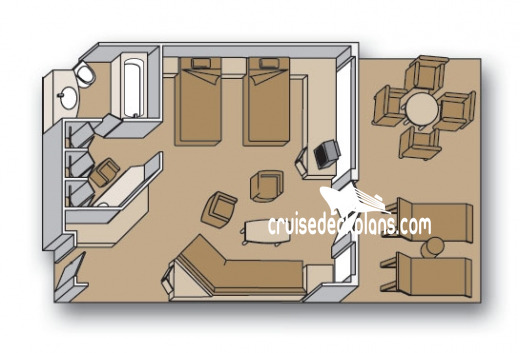 Category CA were oceanview converted to Lanai Staterooms in December 2014. 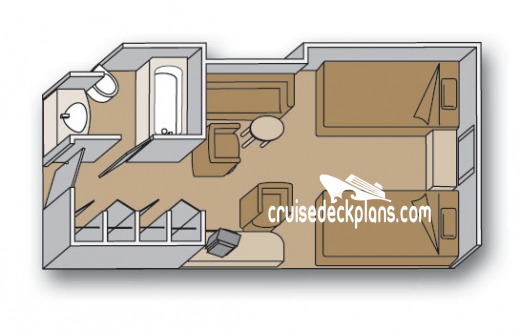 Category CA has a sliding glass door that leads out to promenade deck. 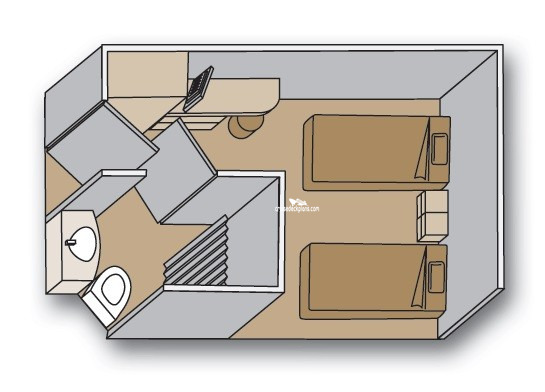 In November 2017 these oceanview staterooms were updated to a shower-only configuration: Lower Promenade Deck: E3327 - E3392, EE3319 - EE3391, EE3394, EE3405 - EE3414, H3302 - H3428, and HH3300 - HH3426. 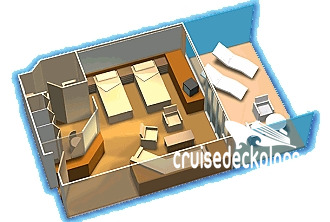 Main Deck: DA2538 - DA2677, DD2674 - DD2707, E2520 - E2537, E2704, E2709, G2501, and G2508 - G2711. 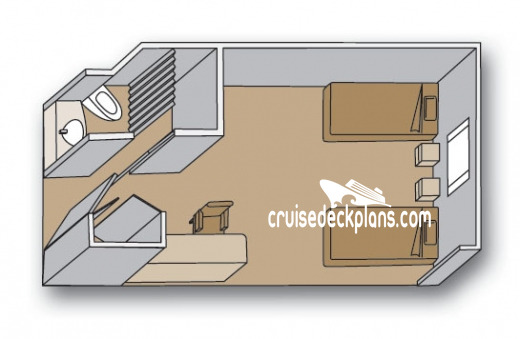 Dolphin Deck: E1830 - E1928, EE1816 - EE1958, F1822 - F1950, FF1951, FF1953, FF1960, FF1962, and G1808 - G1815. 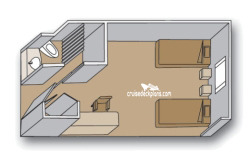 7 Navigation 3 Lower Prom.